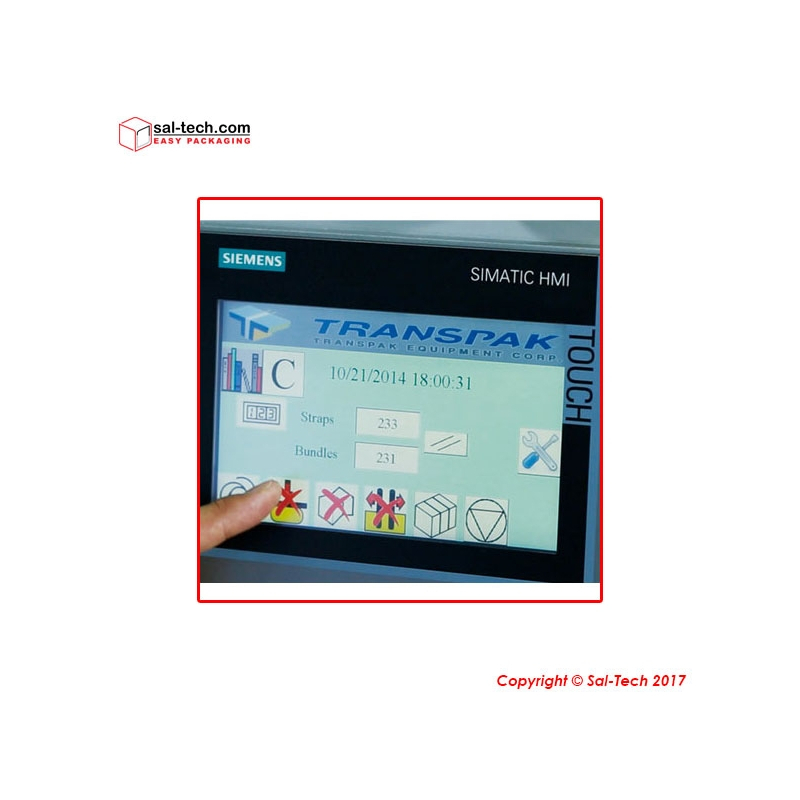 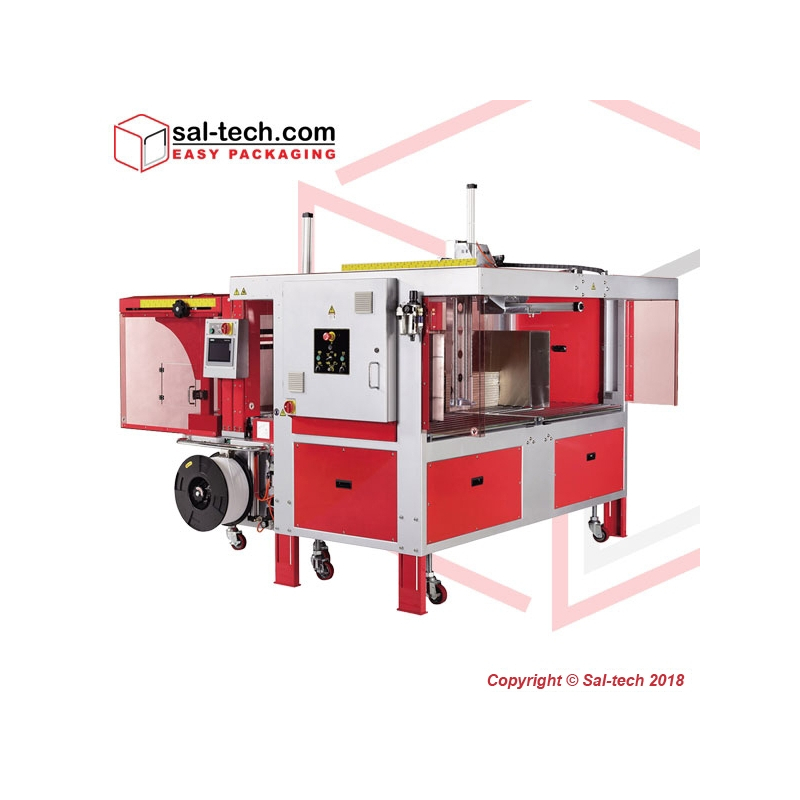 STEP TP-702CCQ is a combination of STEP TP-702C with a 3-Side Squaring Function enabling a professional strapping operation for the corrugated industry. 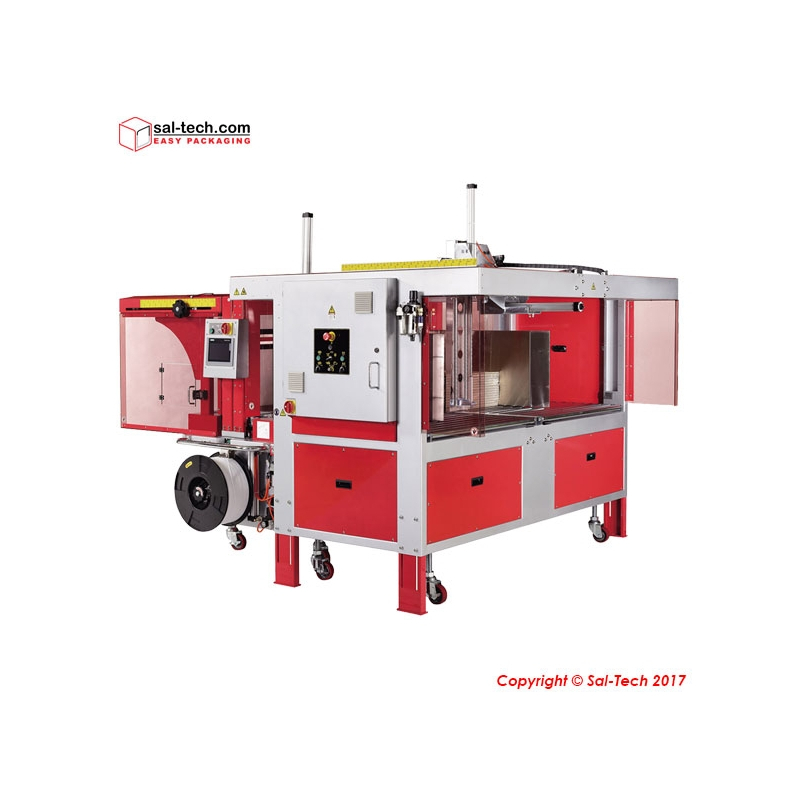 It has an automatic strapping head with motors of latest technology and are German-made, offering a high-level accuracy and consistency. 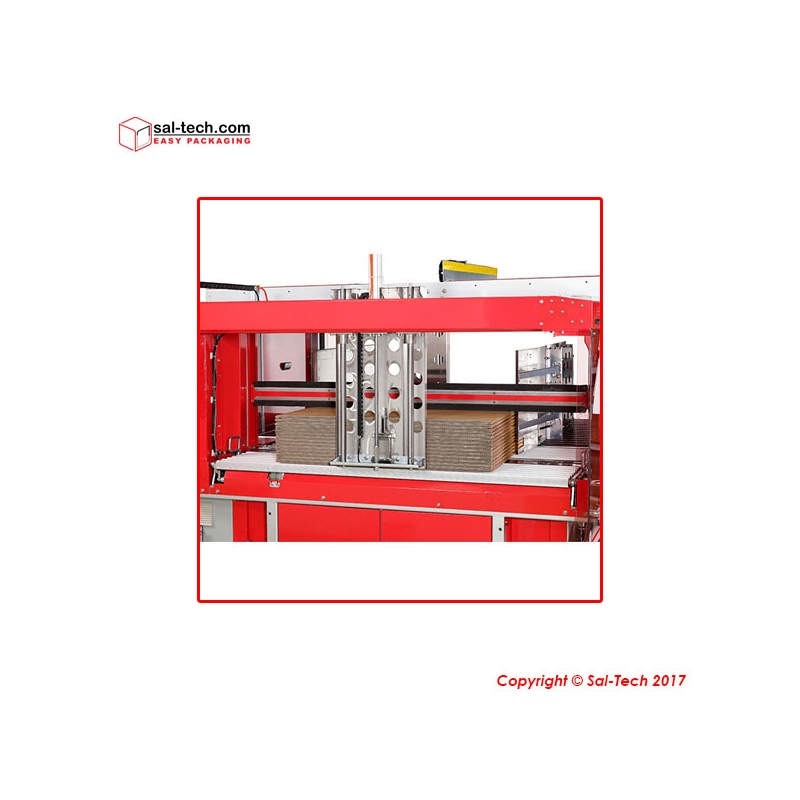 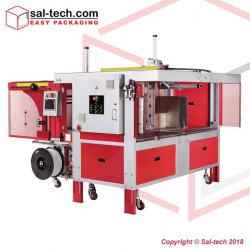 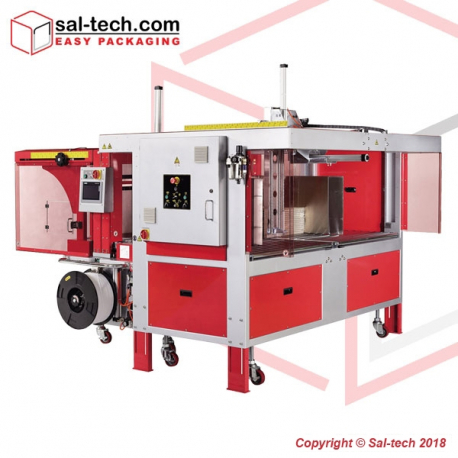 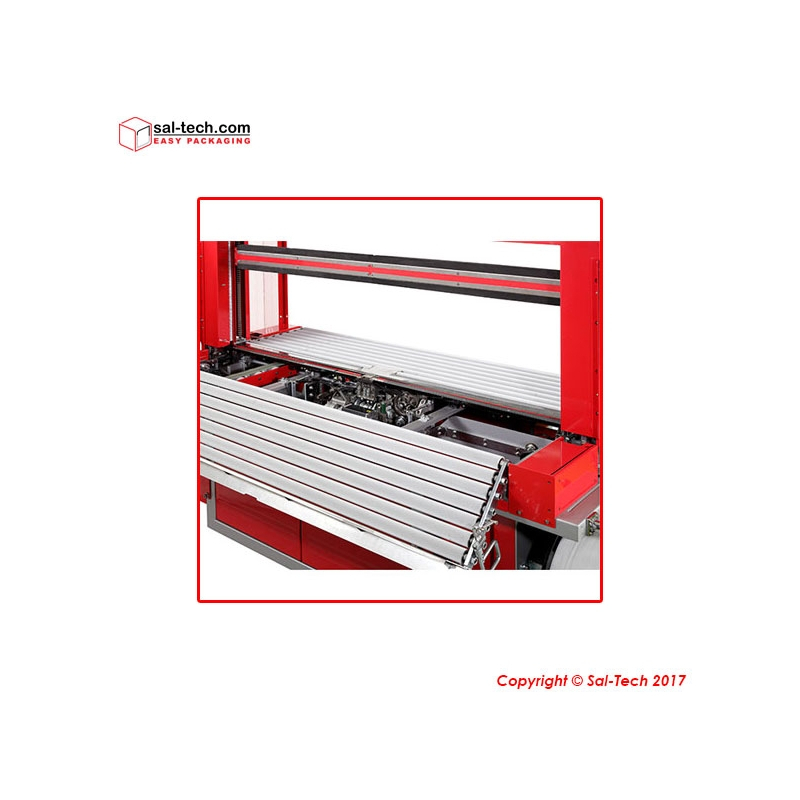 This equipment is also armed with a modifiable pressure on press and squaring for a range of bundle requirements, allowing strapping needs as efficient and effective as possible.